Indonesian clubs have significantly strengthened in the recent winter transfer window, with some gearing up for continental campaigns while others await the start of the domestic league in May. Football Tribe Indonesia’s Steven Danis takes a look at the five new arrivals that could have a major impact on the league next season. 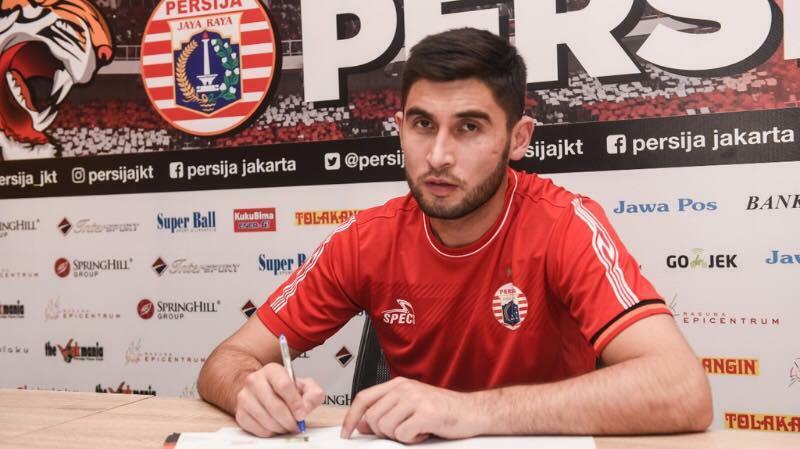 The 25-year-old defensive midfielder may a good replacement for the title holders Persija Jakarta, who need to stabilize their midfield after losing 2018 Liga 1 Best Player, Rohit Chand. In 2018, Jahongir played for two clubs, joining Sogdiana Jizzakh from Metallurg Bekabad in the Uzbekistan Super League before moving to Tajikistan in the middle of the season to join FC Istiklol. Jahongir also the member of Uzbekistan National Team. Lammers came through the ranks at Eredivisie side, De Graafschap. He then joined Dutch second-tier club, RKC Waalwijk, for the start of the 2018/2019 season. RKC is a club with close ties to Indonesia, as young talent Ezra Walian currently plies his trade for the club. The 23-years-old center back played 11 games and scored a goal with RKC before joining Borneo FC in a recent winter transfer. With a Dutch-naturalized captain, Diego Michiels, in Pesut Etam's defensive line, Lammers will be perfect for the club and may have a good career in Indonesia in the long term. As an Indonesian, he may not be one of the 'new faces' in the nation's top-tier, but this is the first time he has returned to the country after spending five years across the strait in Malaysia. Additionally, the last time he played domestic football in the country was with Persebaya Surabaya in a break-away league back in 2014. Andik will try to bring more silverware after his success in bringing the Malaysian Cup trophy to Selangor. Now, the diminutive winger will be looking to do the same with Madura United, who aim to be Liga 1 Champions. 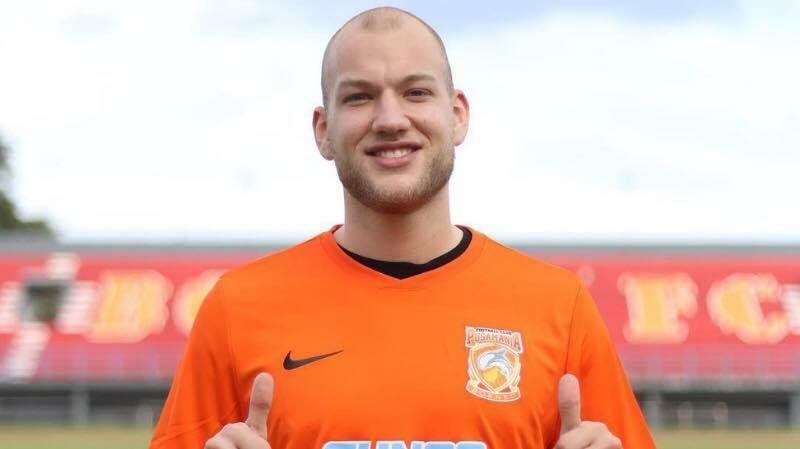 The ex Real Madrid Castilla striker from Finland is sailing to Makassar ahead of the 2019 season. Before joining Juku Eya, he had a little rough season last year. After scoring a hattrick for Swedish giant, AIK, in 2017-2018 UEFA European League Qualifying, he was transferred to another Swedish club, Dalkurd, but was unable to save them from relegation. Eero is also a member of the Finnish National Team and opened his goalscoring account in a friendly against Sweden last month before joining PSM Makassar. He has already managed to score a debut goal for the club against Kalteng Putra in the Piala Indonesia. Standing at 197 centimeters (6'5''), the 27-years-old player looks like a giant when compared with the local defenders. He is a typical, classic European finisher with great aerial strength. Persebaya Surabaya contracted a Guinea-Bissauean former Celtic striker Amido Balde, for one year. 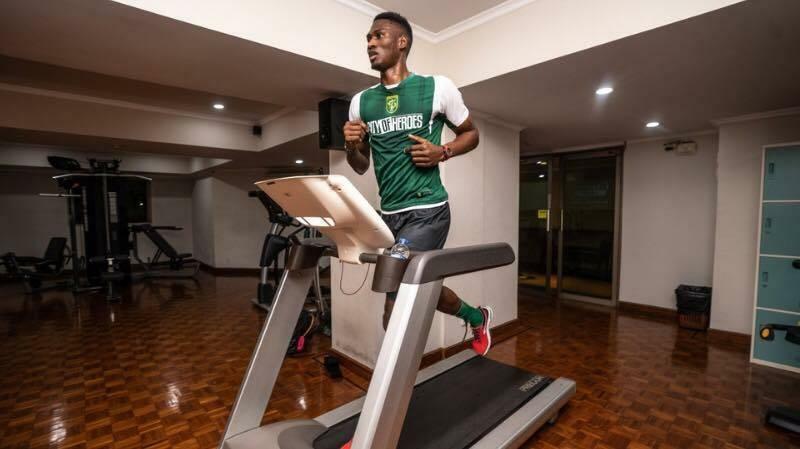 Amido, who was a teammate of Liverpool and Dutch defender Virgil van Dijk in Scotland, started his pro career with Sporting Lisbon of Portugal. The ex-Portuguese youth international then changed his nationality to Guinea-Bissau, to reflect his original descent. Since 2015, he has played 4 games and scored a goal for the West African nation. Indonesia will be the eighth country that he will play in. Cercle Brugge (Belgium), Metz (France) and Hapoel Tel-Aviv (Israel) are just some of the clubs he has represented before coming to Surabaya.